In 2013, Nicole, Beth and 5 other leaders in the hospitality industry came together to form Party Partners of Philadelphia—what is now known as The Industry Formula Meetup. Our members are highly qualified hospitality professionals who network together, refer business to one another and partner to market their venues, services and the Philadelphia market as a whole. We’ve worked with organizations such as the Center City Proprietor’s Association, the Residences at the Ritz Carlton, the Philadelphia Concierge Association, Greater Philadelphia Hotel Association, and the Forbes Under 30 Summit. If you are an event venue or vendor in the Philadelphia area, we’d love to have you as a member! Hard Rock Cafe Philadelphia: Located in the heart of the Convention District, the Philadelphia cafe offers a private event room that accommodates up to 200 guests, or you can rent the entire cafe for a large event of up to 600 guests. Seated dinners and reception-style layouts are available, so choose the one that best fits your event. The Palm Philadelphia: Extensively renovated in 2017, The Palm Philadelphia blends modern, sophisticated accents with the carefully-preserved architectural features of the historic Bellevue. These elements brilliantly complement renowned local artist Zack Bird’s signature mural of beloved Philadelphia landmarks. The intimate private dining space is ideal for client dinners, corporate happy hours or family celebrations. Branzino Philly: Branzino is conveniently located on 17th street, between Locust and Spruce, and features Italian cuisine. Branzino is known for perfecting the everyday—the handmade pastas, homemade bread, fresh seafood, homemade Desserts, homegrown micro greens and more. They just came back from a devastating fire and, after 2 years closed, are eager to satisfy. Rooms include e a small main dinning room, sit down about 35 max, a large Dinning Room, sit down about 110-115 guests, can be closed off in the middle (with curtains), for a smaller group up to 55-60 guests. 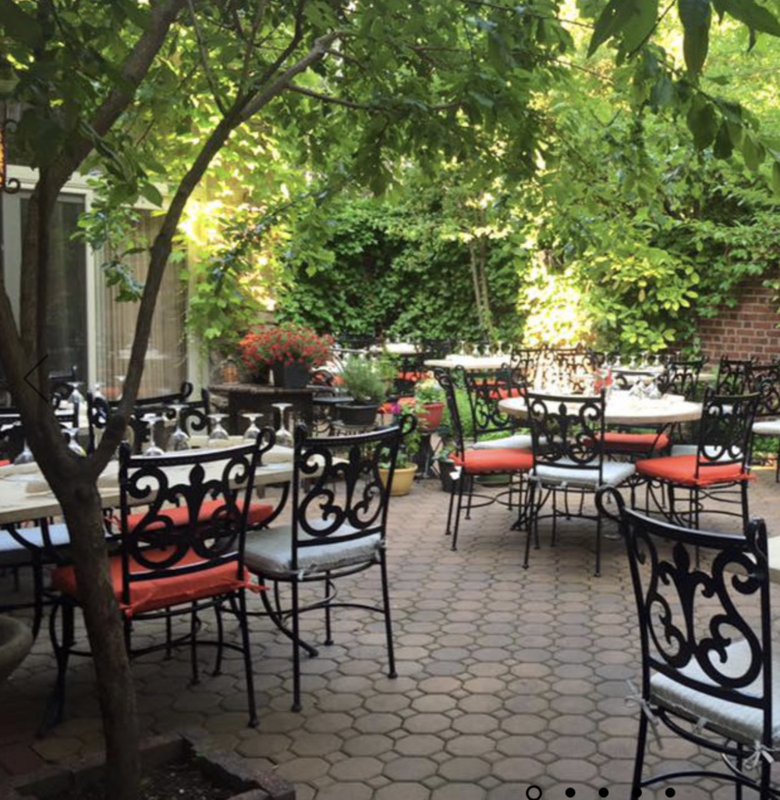 Branzino’s Gem, The Garden, is a private, romantic, away from the eye, getaway, for an intimate diner, a group of 6 after work, etc., to create beautiful memories, rare to find anywhere , not just in Center City. Positano Coast by Aldo Lamberti: If the flavor of our food is not enough to transport you to Italy, the atmosphere certainly will. Inspired by owner Aldo Lamberti's seaside hometown in Italy, the ambiance of Positano Coast will make you feel like you are on an Italian seaside holiday. 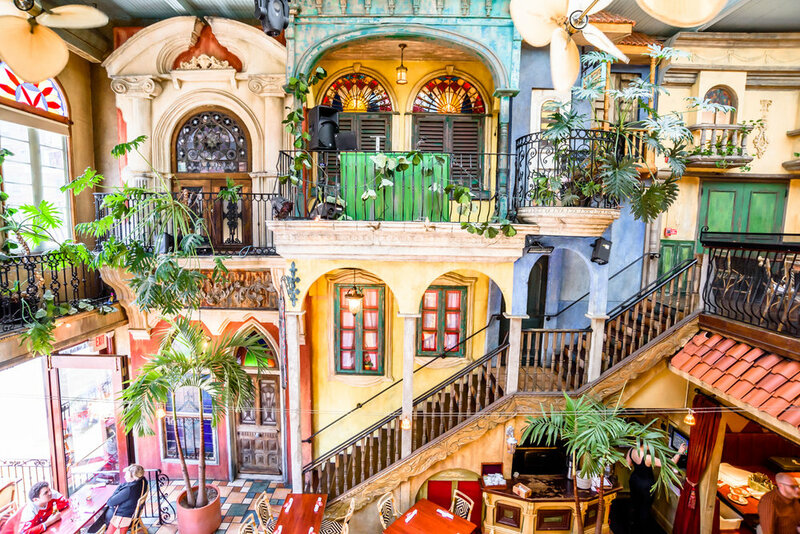 With a soothing imported cobalt blue tile floor, life size images of the Amalfi Coast and remarkable second floor view of Old City, Positano Coast is a distinctive restaurant unlike any other in the City of Brotherly Love. James Philadelphia: Named after James Logan, the 14th mayor of Philadelphia, James. pays homage to the classic American tavern that was a staple of colonial life. It was in taverns that people like Logan would meet to socialize and make decisions that would shape the young nation. Today, James. is located in the heart of Philadelphia’s business district. James aims to honor that classic Philadelphia tradition by creating a comfortable-yet-upscale tavern with warm hospitality and a locally-inspired menu. Their private dining space includes a vault and chef’s tasting menu. Cuba Libre Philadelphia: Menu by James Beard award-winning Chef Guillermo Pernot highlights classic and contemporary Cuban cuisine and cocktails in a tropical courtyard setting. Located in the Old City District. Sugarhouse Casino: Equipped with an outdoor balcony and pre-function space to greet guests, The Event Center is the perfect location for any occasion. SugarHouse has the ability to divide the space into smaller, more intimate sections, to make it the ideal setting for both large and small groups. Whether planning a wedding, corporate reception, seminar or trade show, SugarHouse is ready to go above and beyond your expectations. Their high service standards and seasoned, expert culinary team will ensure every detail gets the attention it deserves. Are you looking for a surefire way to get more events in your restaurant or venue? Contact us today! Independence Business Alliance: The IBA provides opportunities, access and resources to LGBTQ professionals and allies in the Greater Philadelphia area. We promote economic development, growth, diversity and leadership in our region. Center City Proprietors Association: Center City Proprietors Association celebrates over 40 years of support to the Philadelphia business community, by providing connections, insight, resources and community through a variety of programs and events. Mid-Atlantic Events Magazine: The corporate planner's #1 resource for news and tips for successful meetings and events.